We’ve been in our home for almost four years. In that time we have done quite a few meaningful projects to add some life into this 50+ year old house. We finished the basement, painted the kitchen cabinets and we are about to get new windows. We aren’t breaking any renovation records, but I am happy with our progress so far. One thing we had hoped to do right away was add french doors to the kitchen and build a deck. Alas, our basement reno took over and depleted our budget so we added a window instead of doors and called it a day. But I have always wanted some kind of gathering space in the back yard. For now, we still have to wait on the deck. But in the meantime we have decided to create a patio! I’ve recently signed up for the Wayfair Daily Sales email to grab some great deals on home goods. Daily sales are markdowns on great curated items for the home that run for 72 hours at a time. I love how they are categorized by theme rather than item type. As a visual person, I want to see chairs and pillows and tables all in one place rather than click around to find coordinating items. 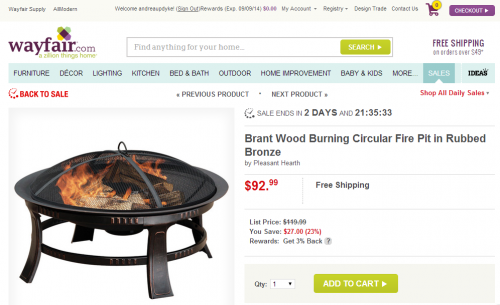 As I was browsing through, I came across several great deals for stand alone fire pits. You know how something just inspires you? Suddenly I could see a patio around that fire pit and that was all it took for me to click Add to Cart. Y’all, what we need is a patio! Once I had my plan, I began looking for other ideas to make it happen. Because we still want to do the deck eventually, we are going with pea gravel for the patio. It’s less permanent than cement but still gives off a nice vibe. I don’t want it to be formal so I envision string lights, bright colored chairs and of course, our fire pit right in the middle of it all. We found a local service that will deliver the gravel to us. It’s inexpensive and easy to DIY. I will definitely follow up with our progress because I can’t wait to get going on this! We are still deciding on a border, but it will likely be some kind of larger stones to keep it simple. As I mentioned above, we already have the fire pit. In fact, it just arrived today! Now I just need to grab some chairs and a few fun details. 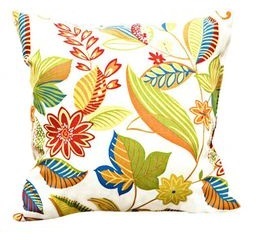 You can be sure I will be watching the Wayfair Daily sales for some great deals on backyard goodies like the above pillow and even some games for the kids. 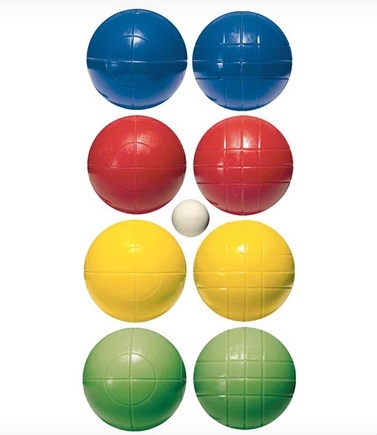 like this Bocce Ball set for $32.99. This summer is all about having fun at home. I am really excited to have a nice little patio where we can grill, make s’mores and hang out after the kids go to bed! We have a large front yard so I am happy to give the back yard some much needed attention this summer. Stay tuned for updates on our project and of course photos of how it all turns out! Have you checked out Daily Sales on Wayfair.com yet? You can sign up below! Disclosure: As a Wayfair Homemaker Featured Blogger, I was given a stipend to shop so I could experience Daily Sales first hand. All opinions are my own. 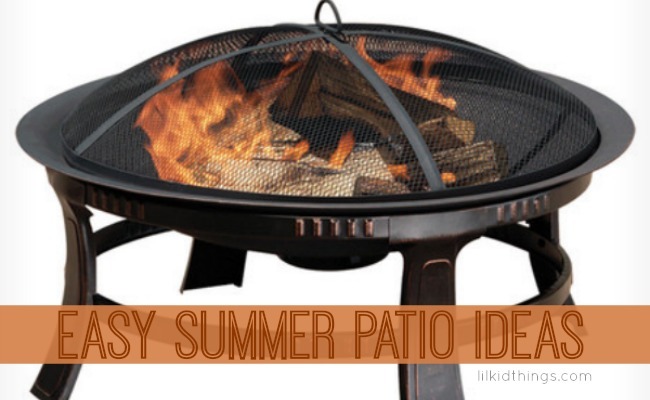 I want a yard without mosquitos so we can use one! I think we’ll talk about it in October when it cools off!